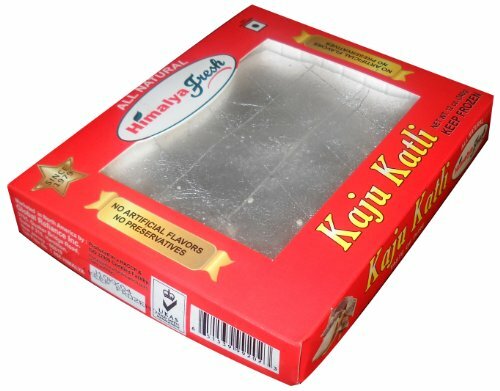 HIMALYA FRESH Kaju Katli with silver 12 oz - Premium Authentic Indian Food & Sweets Made With Cashew nuts, Cane Sugar and Vegetarian Silver - No Fillers Or Preservatives by Himalya Fresh at Rae Of Sunshine Life. MPN: 3. Hurry! Limited time offer. Offer valid only while supplies last. BUY WITH CONFIDENCE: Buy Himalya Fresh Kaju Katli with confidence and worry free!